In today's telecommunication business, companies are increasingly outsourcing to improve profitability and productivity. From reading this scenario about Global Communication, several points of interest will be presented in this paper. The scenario involves a company called Global Communication and presents various business and ethical dilemmas that this company must face to continue being a competitive force in this field. 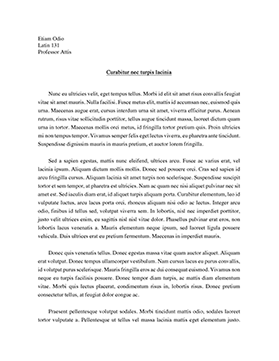 This paper will discuss the initial problem that explains issues and opportunities. Also, the paper will discuss stakeholder's outlook and any ethical problems that might arise. Lastly, the end-state goal will be discuss which will include gap analysis. Global Communication is having an economic challenge. The problem that Global Communication is facing is too much competition from local long distance and international market. The cable companies have caused the issues. These cable companies are offering the complete services such as computers, television, and regular telephone services. Global Communication is planning on offering new services to small businesses and regular individual customers. Also, the company has connected with satellite provider to offer broadband services. Global Communication leadership team did not plan enough to achieve the goals. Global Communication wants to cut labor cost. Global Communication is discussing the moving the technical call service to India and Ireland. This plan will help globalization of the company and reduced unit costs for handling calls. Global Communication downsizing domestic call centers will cause many employees to leave or relocate with 10 percent salary cut. According to Some Lessons in Outsourcing the millions of jobs in the USA are being lost to outsourcing (Ajay K Aggarwal, 2006). Global Communication is concern about this plan might create morale problems and negative feelings to employees. Another more important issue is the concern of the Technologies Workers Union. The Workers Union was not informed a heads up on this plan. The Workers Union also does not see the benefits to their union people when jobs are given to people in India and Ireland. The Workers Union considers being unethical and sneaky way to work around current contract condition. The Workers Union is very disappointed and will take actions to support union people. Two areas of concerns in this scenario are actually connected to each other. The Workers Union has been created to protect the rights of the employees. As mentioned earlier, the Workers Union was not informed of the new strategy formulated by the Global Communication. Global Communication main end goal is to develop a number of cost cutting measures to make it more competitive and productive in the Global Communication market. The article, Ethics of Outsourcing, by Ranjini Sivaswamy (2005) states that clear and open communication channels are another sign of an ethical company and when a project does not go the right way, an ethical partner will always keep you informed of the problem and possible solutions and time needed. Ethically Global Communication has already violated union agreement and contract by not communicating fully with the Workers Union. Good communication matters because business organizations are made up of people (Marty Blalock, 2005). Current employees have also been treated badly because Global Communication would rather outsource their jobs to India and Ireland without any notice. Global Communication then pays them a competitive wage, another ethical problem. Global Communication wants to identify cost cutting measure. One is the reducing the labor cost by downsizing the domestic call centers to India and Ireland. Global Communications end-state goals would be develop a new strategy to communicate with employee to treat them fairly and fewer problems. Also, Global Communication needs to communicate and work together with Workers Union to keep morale and productivity high. Global Communication is facing increase competition from many other companies in field. In order to be more competitive, Global Communication feels that several new strategy to help them get back in the game. The company would like to introduce some new services to small businesses and to attract new individual customers. To make this successful, Global Communication must create a connection with a satellite provider for video and broadband. This will help the company compete with local telephone and cable companies. Global Communication needs to increase profitability by outsourcing various departments. Also and possibly the most important, Global Communication needs to communicate and cooperate with the Workers Union.